I feel like each time I eat a macaron it’s a special occasion. 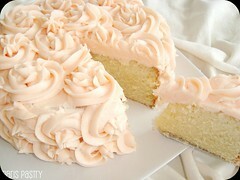 I know the work, the love and the money that goes into making these delicate treats, so I savor eating them. Just one macaron at a time, once or twice a day. 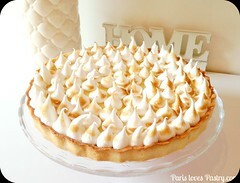 I make myself some tea, I sit on my veranda in a comfy beautiful chair and close my eyes to really taste the almonds, the buttercream, (or in this case, the fruit filling) and voilá! ... I’ve had my moment of peace for the day. I had a day off and felt like making macarons. Macarons are the sort of food you just can’t make in a hurry. It’s always a pleasure figuring out what kind of flavor you’re going to make, since there are a zillion different combinations. I browsed at my ever-expanding collection of food extracts and settled for lemon. Two reasons: a) Indian summer is almost over so it will be the last time in a long time that I feel the need to bake something with lemons (for readers in the southern hemisphere, this is the perfect treat for spring! 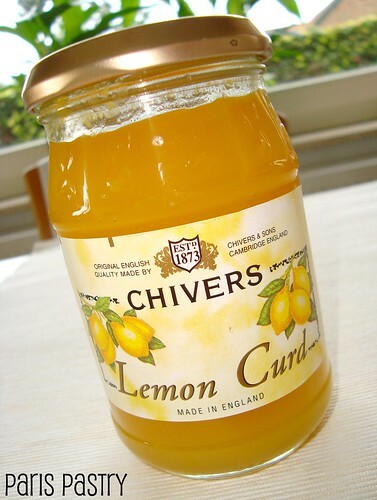 ), and b) I recently bought some Chivers© lemon curd in a specialty shop so I found good use for it (also, I hate making lemon curd from scratch). Anyways, I feel like I finally learned making macarons and I proudly rate these cuties 5- out of 5! A real Pierre Hermé macaron would get a 5. - A day prior to making the macarons, prepare lemon curd. Rince and dry lemons before grating them. Rub zest and granulated sugar together with both hands. - Mix lemon juice, zest/sugar, and eggs together in a bowl. Place bowl over a pan of simmering water. Beat until mixture is up to 83-84°C. Let it come back down to 60°C, and add butter cut into pieces. Beat until curd is smooth, and beat with a stand mixer for another 10 minutes. 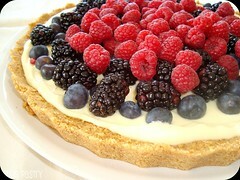 - Pour curd in a large, shallow dish. Cover with plastic wrap, pressing it onto the curd. Store in fridge. 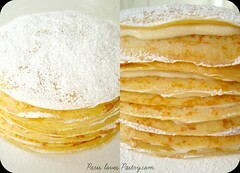 - The next day, sift confectioner's sugar and almond powder together. Add food coloring to the first bowl of "liquified" egg whites and mix. Pour onto the sugar-almond mixture, without mixing them together. - Bring water and sugar to a boil, 118°C. When the syrup reaches 115°C, start beating second batch of egg whites with a stand mixer. Pour syrup onto the whites (which should be at soft peak stage by now), continue beating and wait until mixture is down to 50°C before incorporating it into the sugar/almonds mixture. 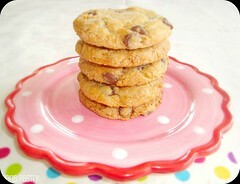 - Pipe mixture onto a parchment paper-covered baking sheet, making round shapes approx. 3,5cm in diameter. Space them approximately 2cm apart from one another. 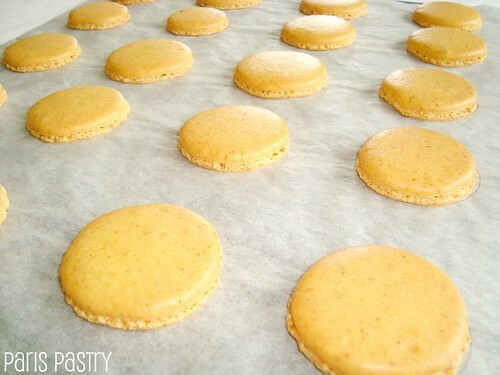 - Tap baking sheet on kitchen counter, and let macaron tops crust for at least 30 minutes. Preheat oven to 180°C / 350°F. Bake tops for 12 minutes, opening oven door twice. 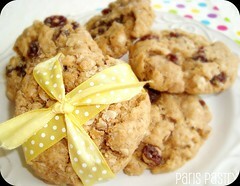 After removing them from the oven, place parchment paper on counter or table. - Mix lemon curd with the remaining almond powder. Pipe onto half of the macaron tops, covering them with the remaining tops. 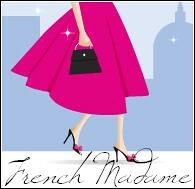 - Place macarons in the fridge for 24 hours, bringing them back to room temperature for 2 hours before eating. 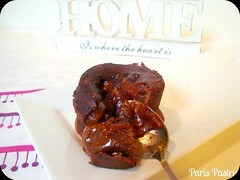 * If you prefer to work with cups, you can use this recipe. Substitute the red food coloring for yellow, and add a few drops of lemon extract to the batter. Also, I've written down some helpful tips here. It's been a while sicne I saw someone make a macaroon that looks THIS good. 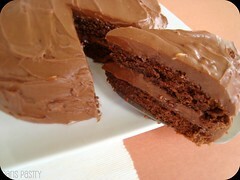 Wish I had a few of these to nibble on right now. They look great - I'll be making these for sure! Superbe!! You have done well ~ I tried to make macarons twice but alas disastrous! but these look so.. yummy!! 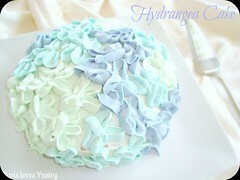 maybe I will try again ~ I must remember to put those egg-whites in the fridge 3 days ahead. How delicious! 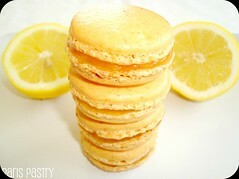 My husband actually brought home lemon macaroons for me today as a special treat. They were good but def not the same from the streets of Paris. 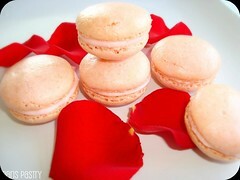 your macarons look lovely and have formed a great pied.... it is truly an art to making macaron... they look delicious! 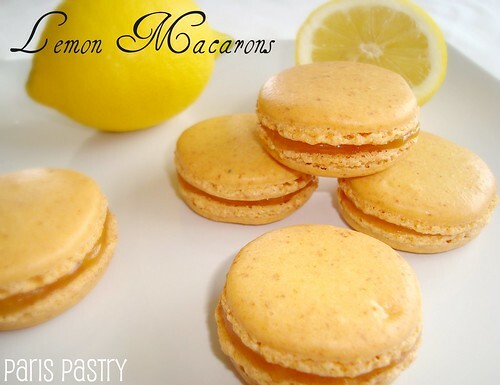 Mmm I love lemon curds and those macaron shells look perfect! They look divine, & I appreciate your tip about leaving egg white in fridge for a few days. My one & only attempt at these was a disaster, tho they tasted good, they didn't look good. So I might try again. beautiful photos too. What cuties! These look excellent. I agree about macarons being something you need to take your time making; the first time I attempted them I started work at around 9:30 on a school night, and I ended up rushing through them. Of course, they turned out like little brown puddles, but I eventually got them right (I hope that doesn't jinx my future attempts >_<). 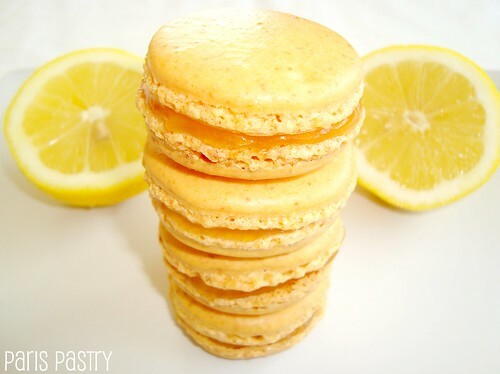 These macaroons look so darn perfect! 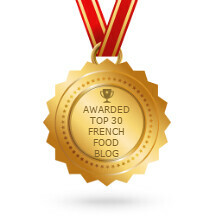 I am really impressed, and SO wish I could try one, I really love lemon curd. Looking good! 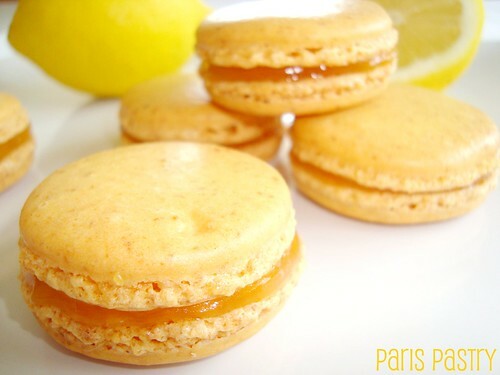 Lemon macarons are my favorite--but I'd have to say, a super buttery lemon curd has a lot to do with it! These are fabulous! I attempted baking macarons only once and they came out flat and cracked. I decided I was much better at nibbling them rather than baking them.